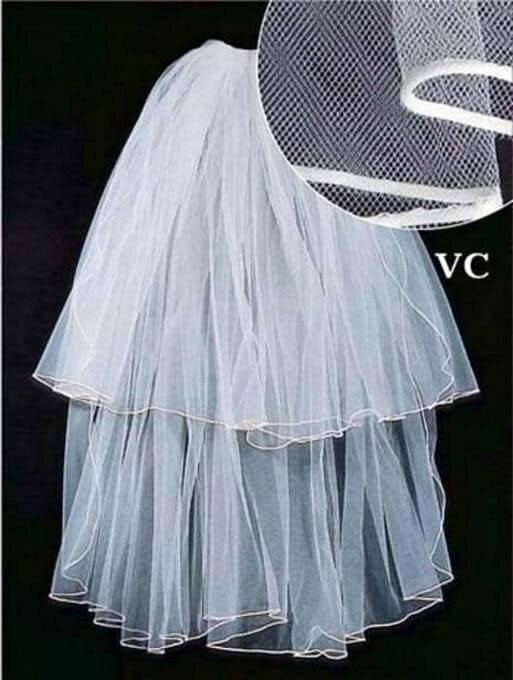 Beautiful two tier bridal veil on sale. Satin trim edge. Available in white or ivory. Clear comb attached. Length 33" X 37" X 108" Inches.